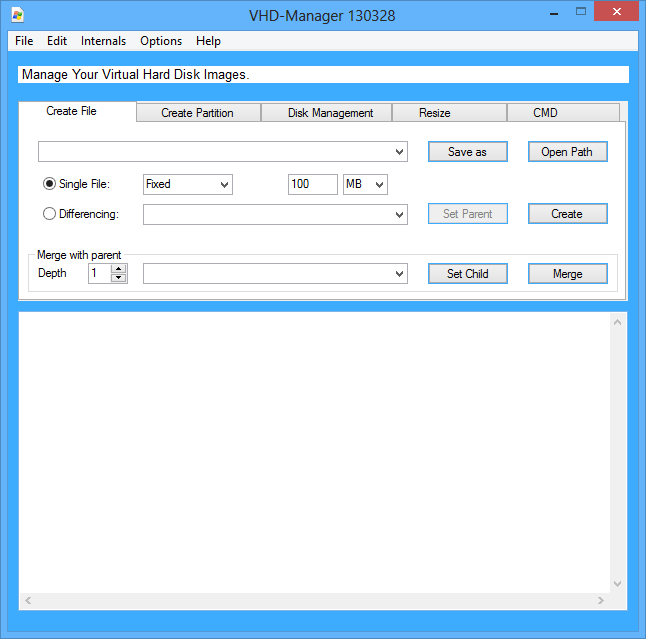 The VHD-Manager can create and manage vhd-files. 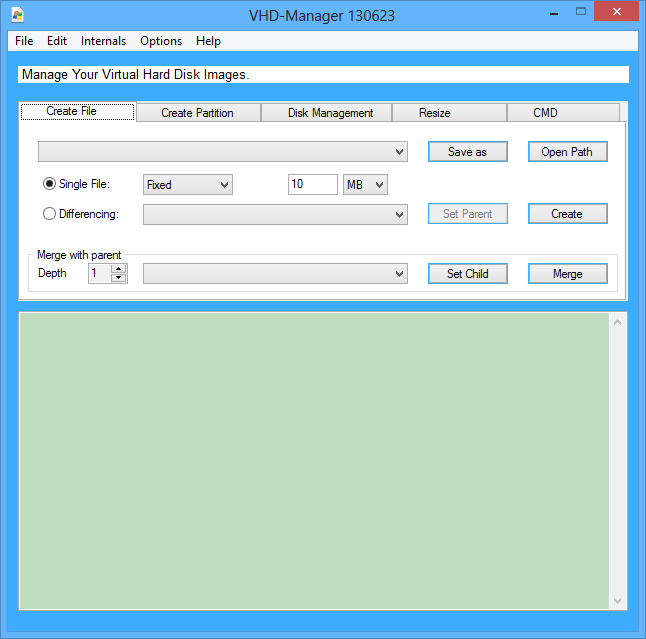 The VHD-Manager uses DISKPART command line. Ohhh! I like this! This is going to be super handy. Any chance you can make it support Virtualbox VDIs and VMWares VMDKs? Thank You for Your warm feedback. 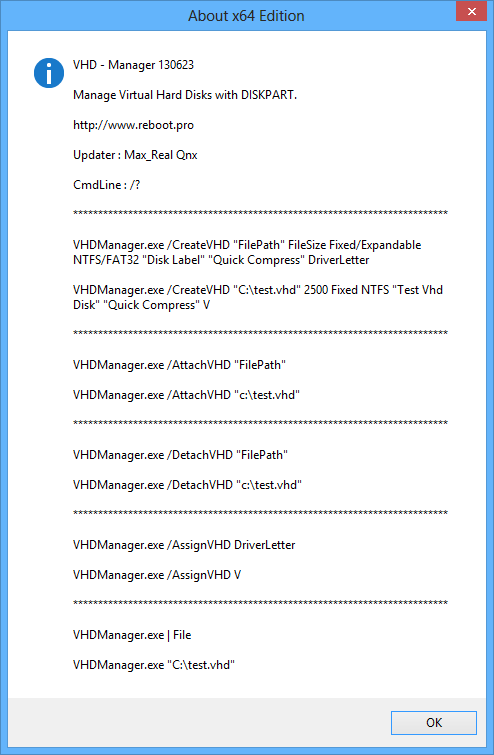 but I have another tool to manage VMDK files. 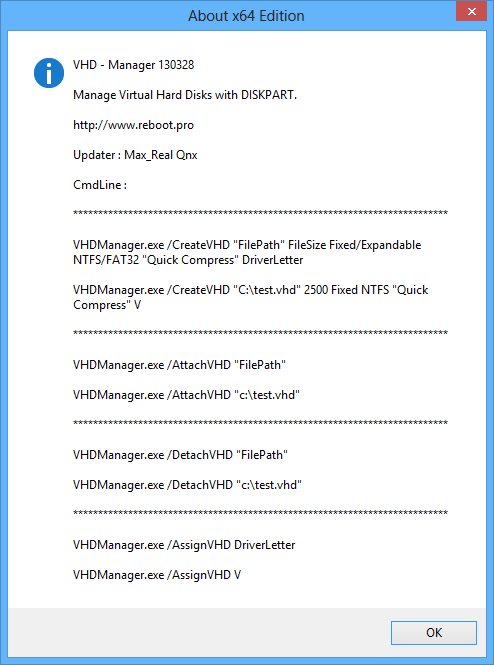 It´s a GUI for Ken Kato´s vdk.exe. If it is usefull for You I will submitt it here in the forum. It´s a great honour for me that You found this program worth to elaborate it. You did a good job extending the capabilities of the program. the more as they share results or teach others how to straighten out what´s wrong. So could You please give me a little hint what code snippets You corrected?